With your cast iron skillet, slow-cooker and freezer, tiny kitchens can produce summer feasts. 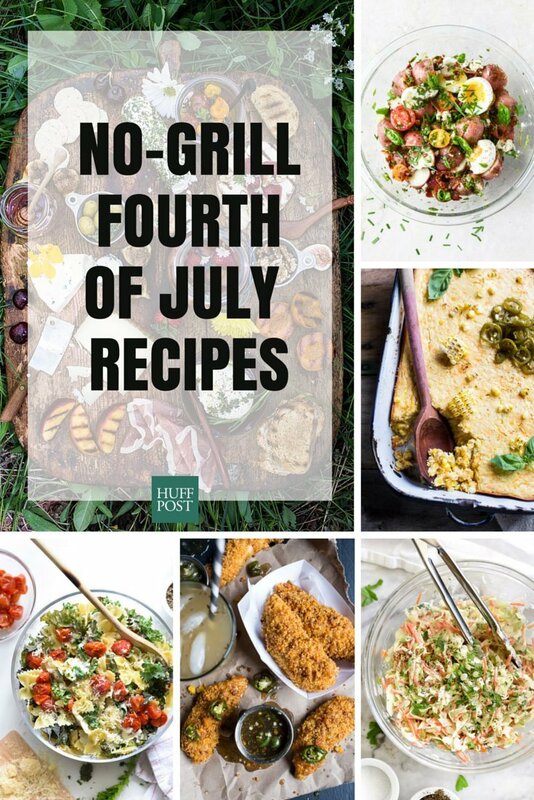 If you happen to find yourself without a grill this Independence Day, don't despair -- we pulled together some easy Fourth Of July recipes with which you can wow your friends, without the need for open flame. Between a cast iron skillet, a slow cooker, an oven and a freezer, even the tiniest city kitchen can produce a summer feast worthy of celebrating these United States. And, worry not: hot dogs, burgers and even potato salad are still part of the lineup. Behold, the 19 recipes you need to celebrate the Fourth of July -- no grill required.